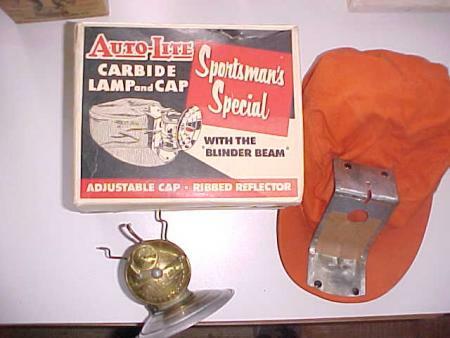 The advances leading up to the carbide caplamp as we know it started as early as 1897. 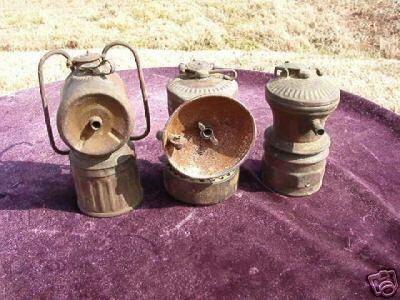 The first carbide lamps that resemble modern ones came on the scene in 1900. However, they did not have real popularity until the 1920's. 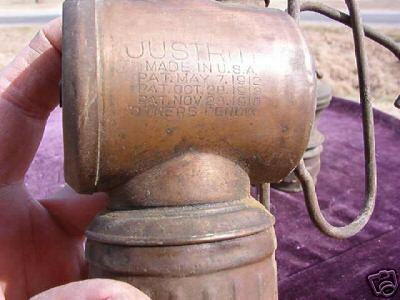 Carbide caplamps were primarily used in mines, with other markets supported by farmers, hunters and other outdoors persons. 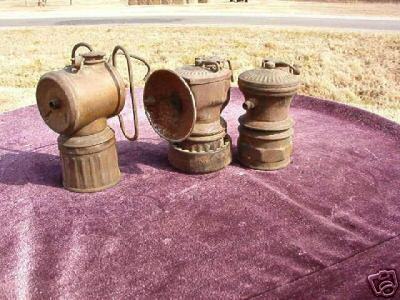 Other larger carbide lamps were used as handlamps for mining foreman, motorcycle headlamps, bicycle lights, military searchlights, and other purposes. 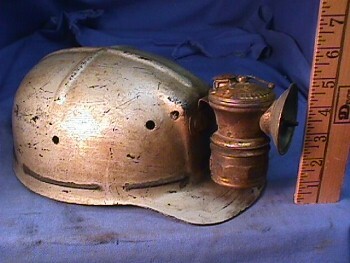 For decades the carbide lamp was the only headlamp considered suitable for caving. Its unmatched durability and economy made it the only logical choice for any caver who valued his or her hide. 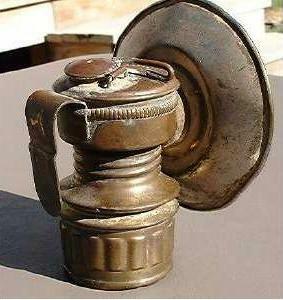 However, the carbide lamp was slowly abandoned for electric lights as they became more reliable and less expensive. 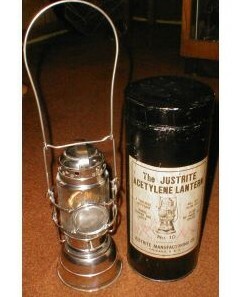 Even in their waning popularity, carbide lamps are still a symbol of caving, and still have unmatched durability. The water is stored in a reservoir above the carbide. Set at a rate determined by the user, the water will drip into the carbide chamber. 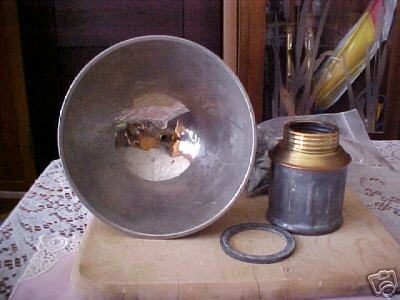 When the water touches the carbide it will produce a hot, damp lime powder and acetylene gas. 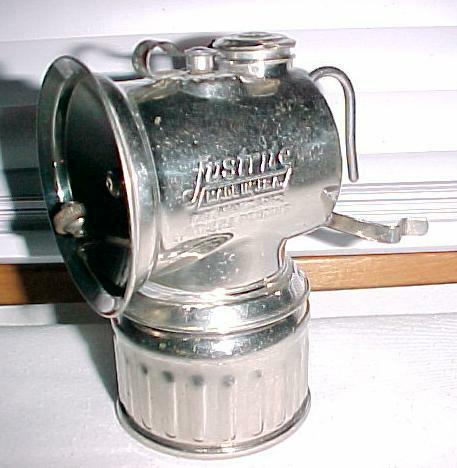 The gas passes through a filter, through a gas tube, and then through the tip where the gas can be ignited to produce a bright, gentle flame. 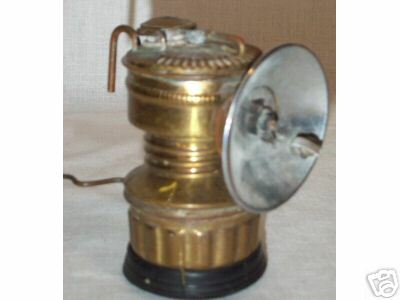 The light produced by the flame is much different from that of the light produced by a incandescent bulb. Incandescent bulbs produce one very bright spot. Though the spot can be adjusted in many cases, there is a sharp contrast between what is in and out of the spot. Since the eye adjusts to the brightest light it detects, the user will experience a sort of tunnel vision. 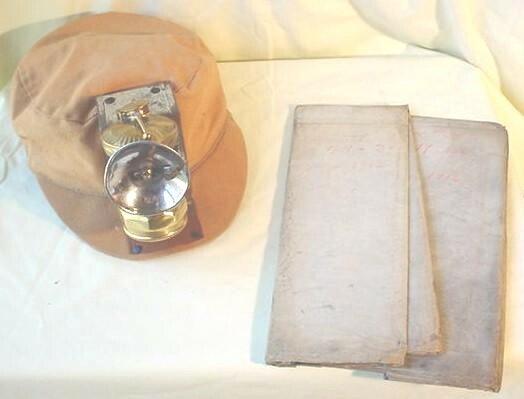 A carbide lamp will produce a soft diffuse. The light of a carbide will not penetrate as far, but the diffuse will be broader.